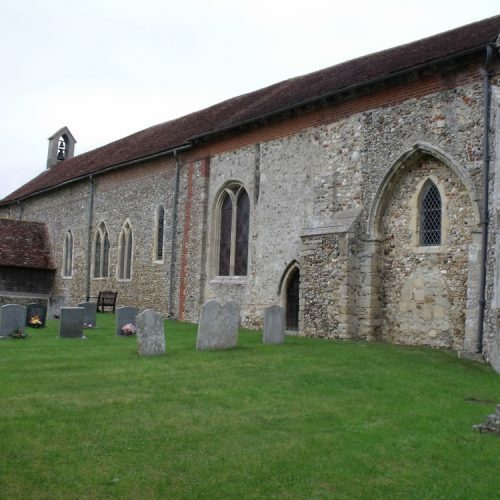 An ancient church in the heart of Suffolk and originally part of an Augustinian priory founded around 1100. 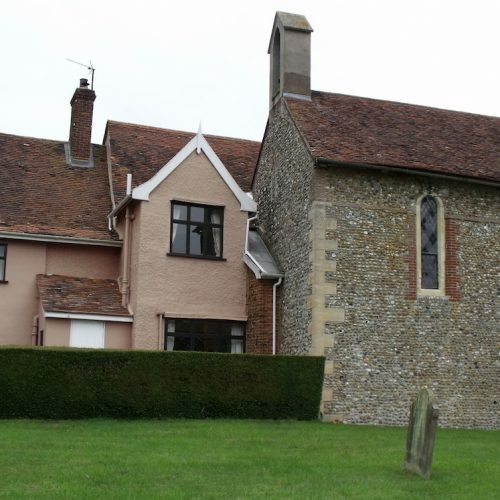 You can still see the hall attached to the church as it would have been in the priory complex. The word Leonardus just visible in the Norman doorway telling us the priory was dedicated to St Leonard. Its remarkable age and history, making the site an exciting place to visit. Really old. 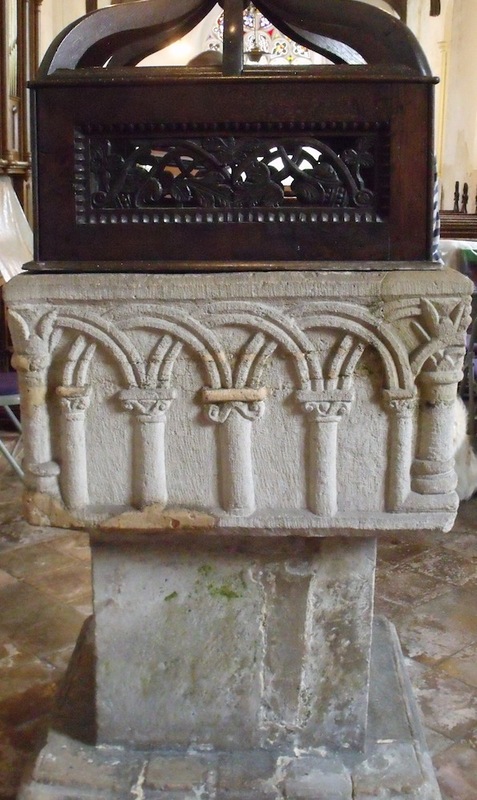 The core is early 12th century. Early on, the priory became an alien cell, meaning it was a daughter community of a French Priory, St Leonard near Limoges. See how large it would have been on the plan displayed in the church. 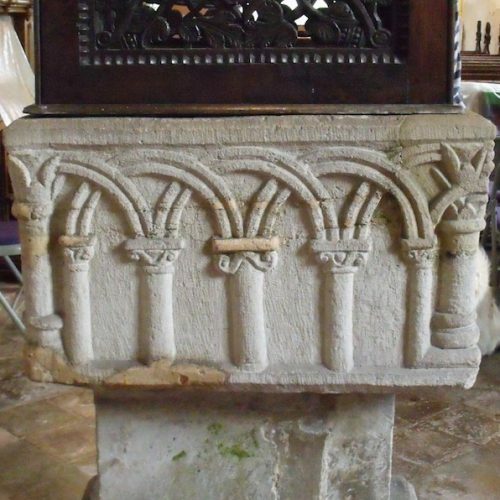 The church was extended at both ends later in the 12th century and repeated changes were made throughout the Middle Ages. The blocked arches in the walls date back to the 13th century and show the locations of former chapels. You can learn much more from the guide inside the church. 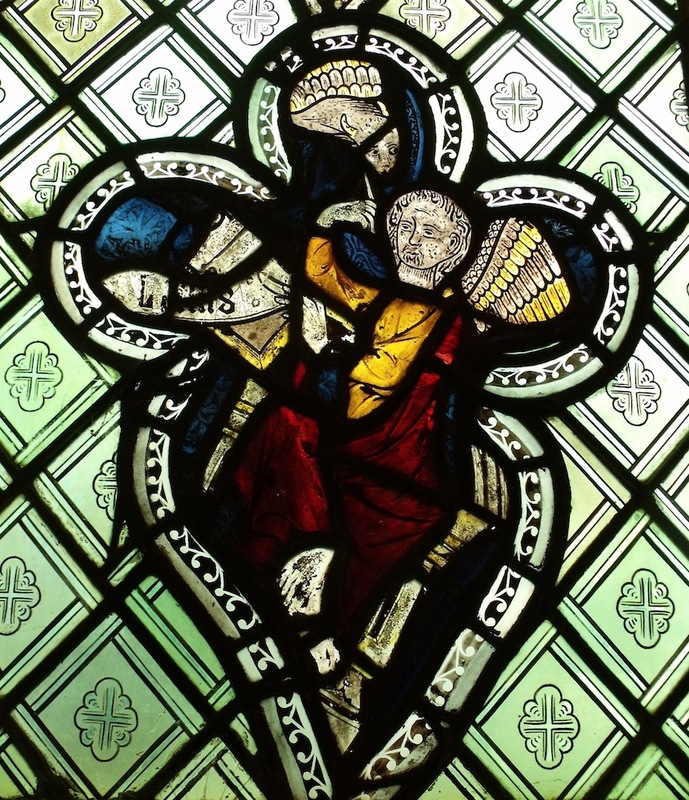 Gorgeous medieval glass panels in the south side of the nave dating from 1320, fragmented but depicting the Evangelists with outstretched wings. 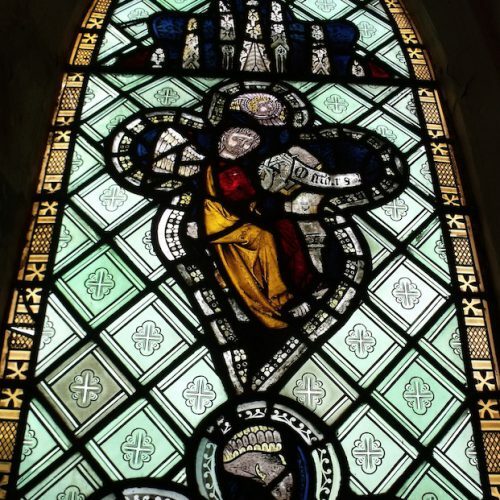 The upper tracery of the east window is filled with 19th century coloured glass, the only coloured glass remaining in the window after a WW2 explosion. 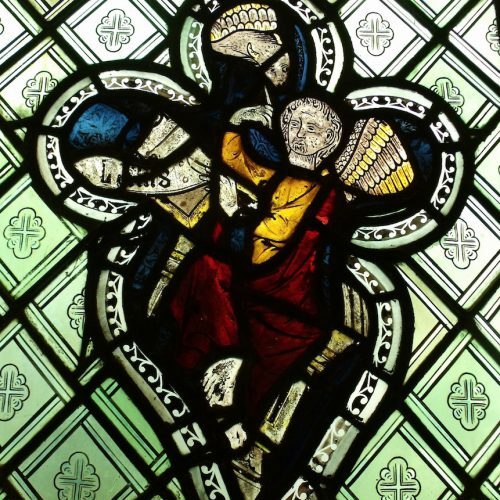 The loss might be regarded as fortunate since the vicar in early 1900s described the full Victorian glass it then contained as ‘painful to behold’. 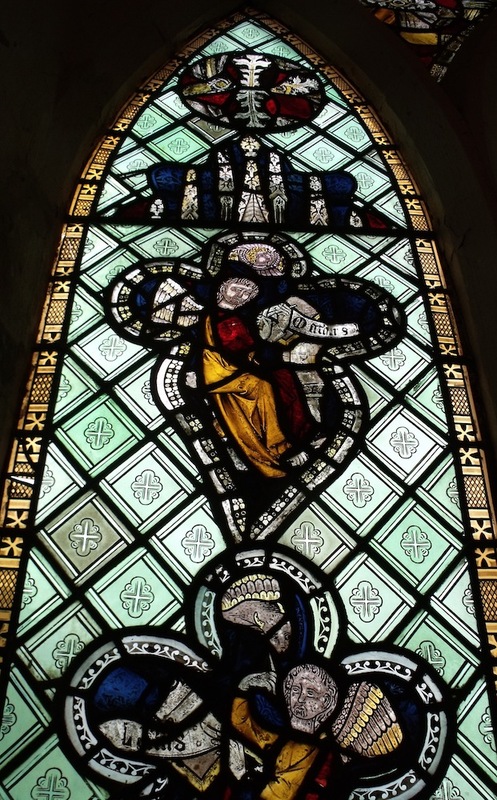 Beautiful 1970s stained glass portraying the two named saints with their symbols, St Mary, and St Lawrence with a grid iron, the symbol of his martyrdom. 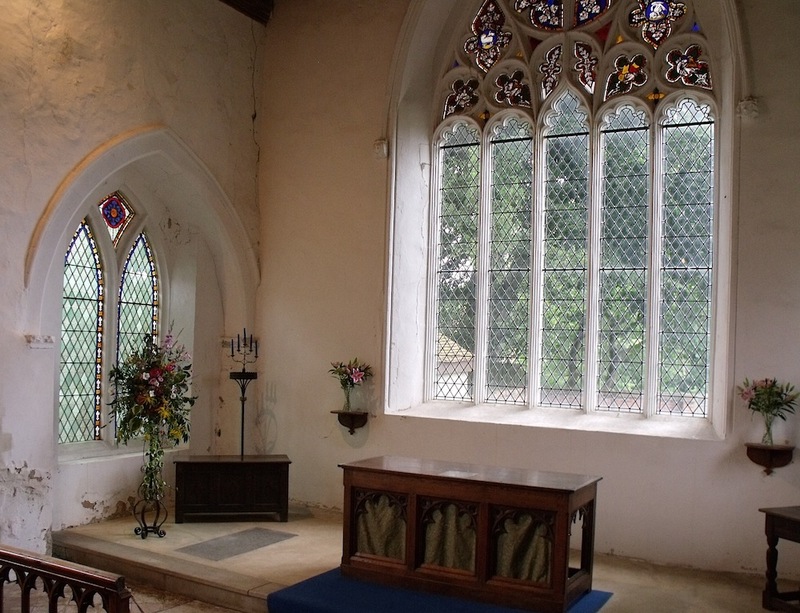 The church is open every day and visitors are encouraged to explore. 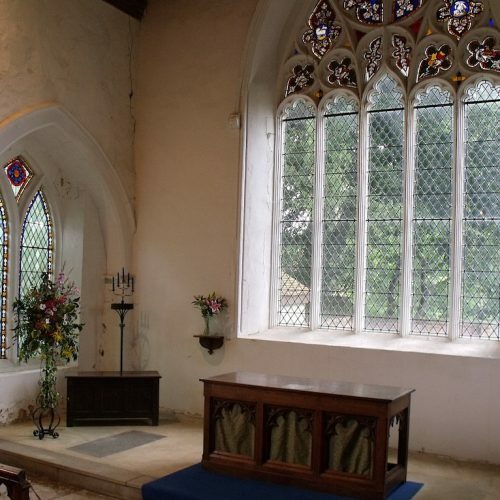 Some 900 years of prayer and worship have given it an atmosphere of peace and devotion. 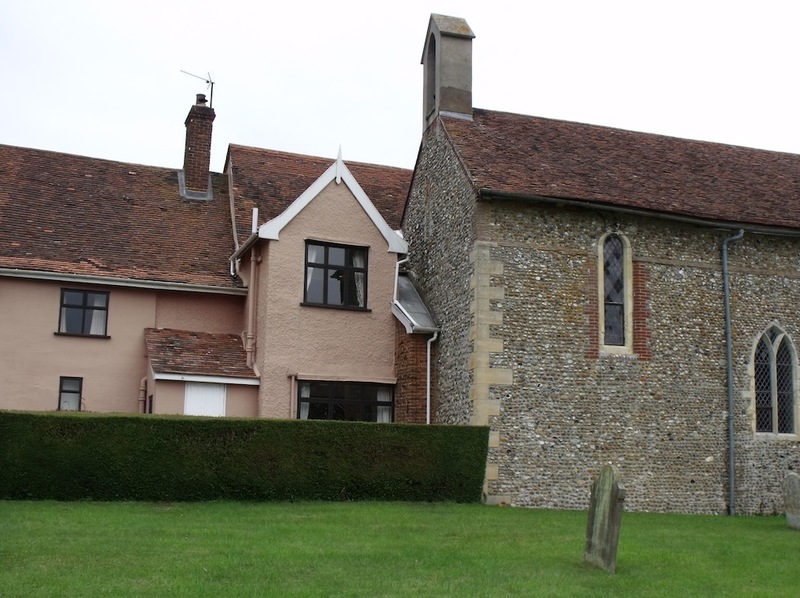 Find out more about the village of Great Bricett and the church. The Red Lion is well known for its very good exclusively vegetarian food. 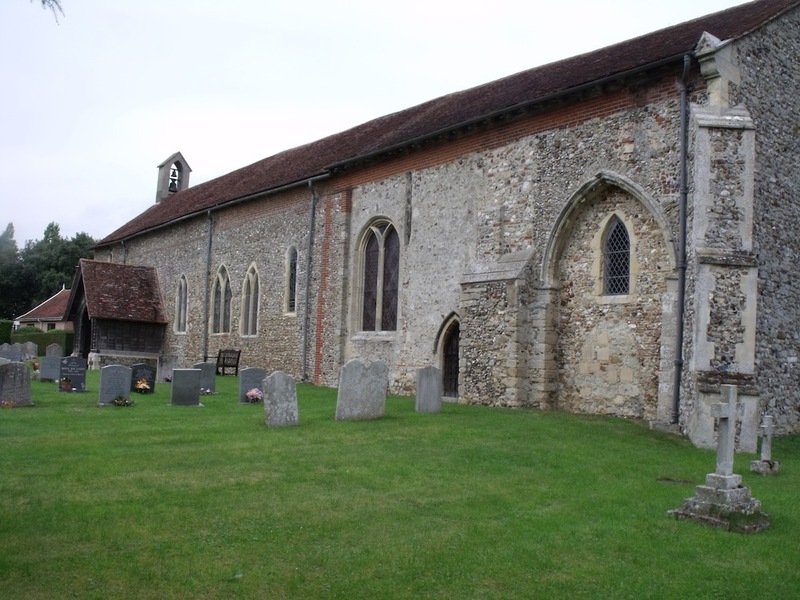 Download these Discover Suffolk walking trails starting from the Church.